To fully understand your cataract surgery and lens choices, it is important to start at the beginning and refresh your knowledge about how the eye works. The eye is very much like a camera. The cornea is at the front, rather like an outer lens of a camera with the eyelids as the lens cap. Then comes the iris and pupil that adjust how much light enters the eye. 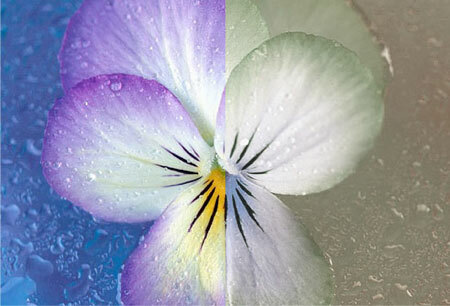 Behind the iris is the focusing lens that directs the rays of light onto the retina. As we age two things happen. Firstly during middle age the lens in our eye stiffens and no longer has the ability to zoom in, and we consequently need reading glasses. Secondly as we age further, the lens stiffens further and starts to become gradually more and more cloudy. This clouding is the cataract. Cataract formation is a normal feature of ageing. As cataracts progress there is usually a slow increase in their symptoms. One of the first symptoms is glare, particularly evident from oncoming headlights when driving at night. 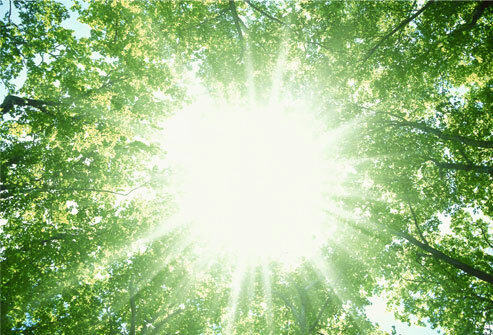 This glare is caused by the cataract scattering the light entering the eye to the sensitive peripheral retina. The cataract can then cause the lens to swell causing a rapid change in your spectacle prescription, leading to more frequent visits to your optician. The lens yellows, affecting your perception of colours and causing you to need brighter light with which to read. In the final stages the cataract starts to affect your visual acuity directly, reducing your ability to read smaller print and threatening your ability to drive. At this stage patients describe their vision as cloudy, fuzzy, filmy or foggy. 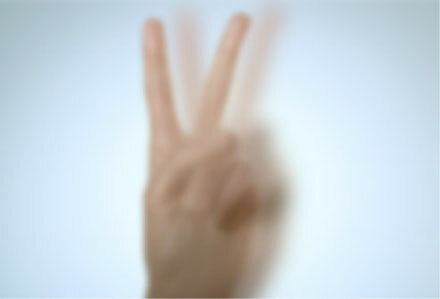 The cataract can also cause ghosting with the perception of double vision. Your optician or GP will normally detect your cataract. They will then refer you to your eye surgeon. Your surgeon would then also confirm the presence of the cataract with microscopic examination in clinic and exclude any other cause for your symptoms. 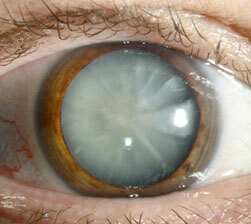 The photo below shows an advanced white cataract. When is the cataract ready for surgery? Once your cataract starts to affect your vision it will slowly progress. The timing of surgery varies from individual to individual and depends on lifestyle and activity. 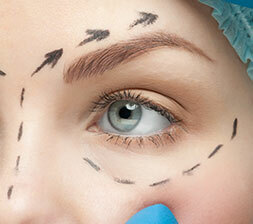 Essentially surgery is advised once the symptoms are severe enough to be worth the risk. For someone who drives at night this could be much sooner than for a non-driver. Modern cataract surgery is one of the safest and most effective of all operations. No surgery is totally without risk however, and it is important for any patient to understand what can go wrong such that they can make an informed decision to have the surgery. I have summarised the risks and their comparative frequency below. Some of the complications are treatable and should not affect your end result. Other complications are more serious and can damage your vision. Taking all the risks into account the overall chance of your vision being made significantly worse by cataract surgery is about 1 in 1000. If any bacteria enter the eye at the time of surgery this can lead to an intra-ocular infection. While often treatable, the infection can still sometimes damage the vision and sometimes result in blindness. The rate of infection is minimised with a strict sterile surgical technique and the use of antibiotics at the time of surgery. The tiny blood vessels in the retina can bleed at the time of surgery. This can lead to scarring of the retina and a reduction in your vision. If you are diabetic, it is very important to make sure your retina is fully treated prior to any cataract surgery. The central retina can swell up due to the surgery. This can reduce your vision. You may need to take additional drops for a longer period. The condition usually improves over some weeks to months, if it does not resolve your central vision can remain blurred. Macular oedema is more common in diabetic patients. The retina in these patients needs to be assessed preoperatively and any fluid appropriately treated prior to surgery. If the lens capsule is ruptured at the time of surgery it will be difficult to fit your intra-ocular lens. In some circumstances the lens can be placed on the rim of the capsule, in some circumstances the lens can be clipped to your iris and in some circumstances the lens may need to be placed in front of the iris. While the result can still be perfect the surgery will have been more complex, your recovery may be delayed and there is a greater risk of the lens de-centring with a worse visual outcome. If the cataract lens slides through a ruptured posterior capsule into the vitreous (the jelly that fills the main cavity of the eye) then you will need secondary surgery by a vitreo-retinal specialist to remove the cataract. The end result can still be perfect but with the same problems of lens fixation as for any ruptured capsule and with the additional risks of the extra surgery. There is an increased risk of retinal detachment for the months following cataract surgery. This risk is greater for patients with myopia (short sighted). The artificial lens placed into your eye is chosen based on pre-operative measurements. Sometimes the lens does not give the expected result and your eye ends up either long or short sighted. If the outcome is significant there are a number of options. The lens can be removed and replaced. A secondary intra-ocular lens can be placed over the lens to correct the refractive error. The cornea can be treated with laser surgery or you could wear either contact lenses or glasses. The outer layer of your old lens is kept to act as a carrier bag for your new lens. This layer can itself thicken. This typically occurs one to two years later and gives the same symptoms as the original cataract. The treatment is straightforward and involves punching a hole in this layer with a laser. As the treatment is very simple and effective we do not really consider this a risk of cataract surgery, rather more of a nuisance which we are continuing to minimise with modern lens design. So long as you are having your surgery with local anaesthetic then you can eat and drink as normal. You should take all your normal medication. It is sensible to wear clothes in which you will be comfortable when lying flat. You will not normally need to get undressed for the operation. Do not wear eye make up. You will normally be admitted to the day case ward and your nurse will put dilating drops into your eye. Your surgery and potential risks would have been discussed at the preop assessment or in the outpatient clinic. You can discuss any concerns with your surgeon on the day of surgery. While the actual surgical time is quite quick, you will normally be in the Hospital for 2 to 3 hours. The procedure typically takes about 15 minutes. It is one of the most common operations in the UK and it is normal to operate on each eye on separate occasions. You will not see what is happening but you will be aware of a bright light and may see a kaleidoscope of colours. You should not feel any discomfort. During the operation, a micro-incision, approximately 2mm in size, is made at the edge of the cornea. A tiny probe is inserted into the eye and the existing lens is gently broken down by ultrasound and removed. The process is called phacoemulsification. A new lens implant is inserted to replace the natural lens that has been removed. The strength of the new lens is chosen before surgery, after your eye has been measured by a laser or ultrasound scan. The new lens is placed where your natural lens used to be. As the incision is so small, stitches are rarely required. The most common type of lens used is called a monofocal lens implant. It will allow you to see well in the far distance, probably without glasses, but you will need glasses to read for near and possibly also in the intermediate distance. There are newer lenses available that are approved by NICE, but are not commonly used in the NHS. These are called multifocal or accommodating lenses. These allow your vision to be corrected in the distance, and depending on the type of lens used, also your intermediate and near vision. Mr Kamalarajah will explain whether this type of lens implant is suitable for you before surgery. When you return to the ward after your surgery you will be offered a drink and something to eat. The nurses will explain how to use your eye drops. We recommend that someone takes you home from the hospital but it is not necessary for a friend or relative to stay with you overnight. You will usually go home with a plastic shield covering your operated eye. You should be comfortable but a gritty sensation from the eye is common. You do not need to start any eye drops until the next day. If you develop a headache take some paracetamol. The next day you can take the shield off, clean your eye and start instilling your drops. Your surgeon or a nurse will phone you the day after surgery to check all is well and to answer any queries. Normally you will be immediately aware of how much more clearly you can see and you may be somewhat dazzled by how bright everything seems. For the majority of patients the improvement in their vision is quite remarkable. Sometimes it takes a little longer for the vision to improve. If your cornea has become swollen your vision can be a little misty initially. Crucially any such mistiness should improve during the day. Your eye may feel gritty, you may have some eye ache, you may have some headache and your vision may not always be immediately perfect but these symptoms should all rapidly improve. No symptoms should deteriorate. When you look in the mirror your eye may be red and you can sometimes have bruising around the eye depending on the anaesthetic technique used. So long as you are comfortable and your vision is good it does not matter at all if your eye is red. The redness will fade away over the next few days. Flashes of light, floaters or a curtain across your vision. We recommend that you wear your shield at night for the first week. You should start using your post op drops from day 1. A typical treatment regime is 4 times a day for the first week, 3 times a day for the second week, 2 times a day for the third week and then just once a day for the last week. After 6 weeks you can go to see your optician to have your eyes and your need for spectacles measured. After your cataract surgery you will need to put some drops into your eye for 4 weeks. By the end of the 4 weeks you will have mastered the art, but it can be difficult at first. The best techniques are described below. If you are lucky enough to have someone else able to put your drops in for you this is the easiest technique of all. Sit in a chair with a high back so you can rest your head against a support. Your assistant then holds the dropper upside down, pulls your lower lid down and away from your eye to create a trough, and drops a single drip from the bottle into the trough. If they find this difficult you can also lie flat on a bed or sofa and they can apply the drops to your eye from just above. Putting in your own drops is a skill. Each individual tends to develop their own technique but the broad principles are the same – it is very difficult at first and then easier and easier. If you can try the mirror and trough technique first. In this technique you avoid tipping your head backwards, instead you look closely into a mirror, hold the drop bottle in one hand and pull your lower lid down with your other hand to create a trough, then gently tip the bottle to allow a single drop to drip into the trough. On releasing your eyelid the drop will wash over your eye. The head back technique is very similar but done without a mirror, positioning the bottle to be directly above your eye and lower lid trough. An alternative is to lie flat on your back and position the bottle directly above your eye and lower lid trough. It is very important to use your drops regularly to prevent infection and inflammation, so whichever technique you use, persevere until you are sure the drops are reaching your eye. Can I shower and bath? You can most certainly shower and bath, but be careful not to rub or press on your eye, and do not go underwater in the bath. Not for 2 weeks, and ideally do not go underwater for a full month. Yes, but try to avoid strenuous activity such as heavy lifting. You can bend down however, for example to tie shoe laces. The legal limits for driving are the ability to read a number plate at 25 yards, with good health and an unimpaired visual field. As soon as you reach these limits you can drive. For some patients this may be day 1, but for others it may not be until you pick up your new glasses at 4 weeks. Under most circumstances you would be able to return to work almost immediately, but it would be safe to book a week off in case it took your vision longer to recover. Can I wear my old glasses? Under most circumstances your old glasses will now have the wrong prescription for the operated eye, but still the correct prescription for the other eye. You can wear them if they are comfortable, but may find you are more comfortable without your old glasses. When can I see my optician for new glasses? You need to wait for 6 weeks to allow your eye to settle fully before measuring for new glasses. In the meantime if you are having difficulty reading you may choose to use a pair of the cheap “ready readers” for the first few weeks. If my eye drops run out do I need to get more? Yes please. You can contact your GP, your surgeon or the hospital to pick up some more drops. 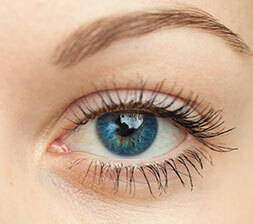 If you stop the drops too soon you can have a rebound inflammation and the eye can become red and sore.